Windows 7, when I check user's folder, it says that it uses about 50gb but when I go in and check all folders, they all combined as about 24gb. Does that mean there are some hidden folder or file? Please advise. - Click the circle that says, "Show hidden files, folders, and drives". Now the hidden folders and files will appear. May I ask if there is anything else that I can help with or will that be all for now? If that is all for now, please do not forget to rate my help on the top of this page by clicking the Stars and clicking the Submit button. If you could do that, I would greatly appreciate it because I am only given credit for my time from the website, if you do that. I only see Organize save search and burn on top left menu but no view? I don't know what you are looking at. After you do that, what do you see? 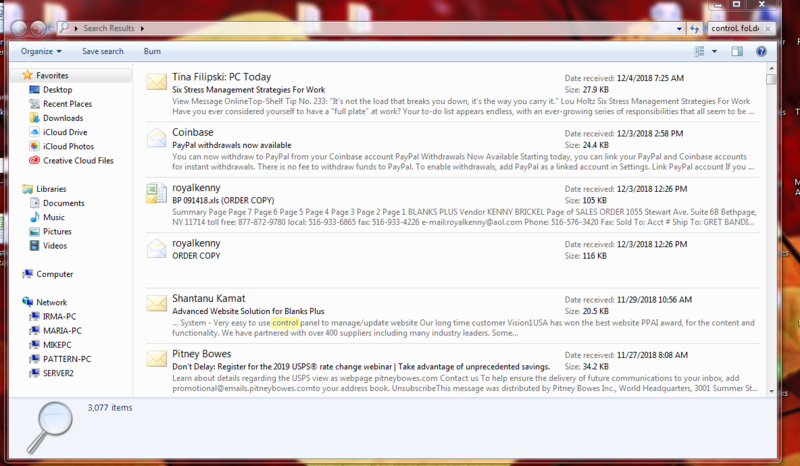 Attached is the window that pops up when I press windows key and R. And I don't see the box to type controL foLders?? When you press WINDOWS KEY and R at the same time, it should pop up with a command window. Attached is the window that pops up when I type controL foLders on the start up field box. - Hold down the Windows key and keep it depressed. While it is still depressed, press the r key. Did that bring up the correct window? I may be gone for a short time. I must leave soon. sorry, I just saw it and installed itare we connected? I have a Lenovo T400. 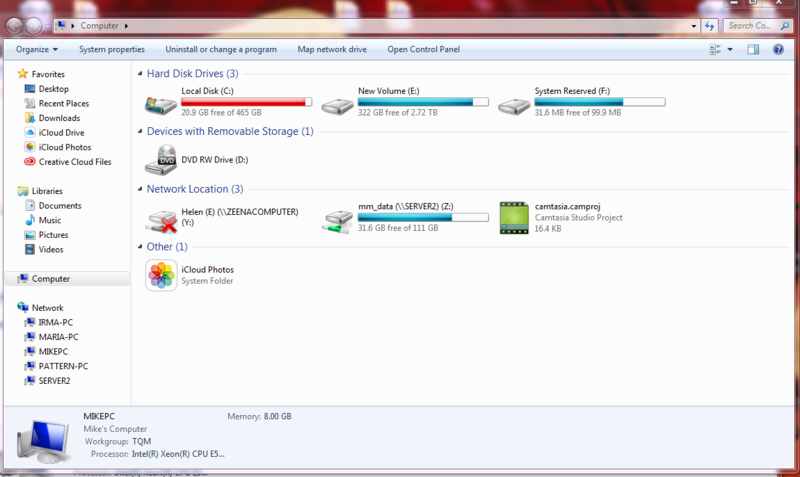 The C drive is almost completely full.